"Suicide and The Drama of Self Consciousness"
It is safe to argue that without some form of reflective self-consciousness, suicide is not possible. Self-murder appears to require the ability to conceive of the self as another in time. Mirror self recognition is not unique to human beings, but an awareness of the self as a being in time, as a person with a recollected past and an imagined future, which can be articulated in narrative form to others is most highly developed in people. Because suicide in children under five appears to be either extremely rare or non-existent, the act must be seen as predicated on a level of development. We are social creatures from birth onward, and our early interactions become templates for what we call personality. Therefore, although suicide always involves a decision (conscious intentionality), either meditated or rash, its complex causes inevitably include unconscious processes. In this paper I explore the role of reflective self-consciousness in suicide by drawing from multiple disciplines, including phenomenology, psychoanalysis, psychiatry, sociology, neuroscience, epigenetics, and narrative theory. I emphasize the vital importance of reconfiguring subjective narrative as a form of suicide prevention and relate some of my experiences with psychiatric inpatients who had survived their own suicide attempts while I was a volunteer writing teacher at the Payne Whitney Psychiatric Clinic in New York City. Biosketch will be released shortly. "Public Health Interventions for Suicide Prevention: Need for Innovative Strategies "
Approximately one million people commit suicide every year. Over 50% of these occur in the age group 15-44 years and the vast majority (85%) in low- and middle income countries. Suicide is among the top three causes of death for young people (15-34 years) worldwide. Estimates suggest that there are some 10-20 attempted suicides for every completed suicide. Self-harm/suicide is one of the priority conditions of mhGAP which is WHO's flagship programme to scale up care for mental, neurological, and substance use disorders. For the identification and management of the priority conditions, including self-harm/suicide, the mhGAP Intervention Guide (mhGAP-IG) was developed through a systematic and consultative process resulting in evidence-based guidelines. The mhGAP-IG provides recommendations not only at the population level but also to facilitate care at first and second level facilities by non-specialist health care providers. For its implementation, training materials have been developed, including for the self-harm/suicide module. Additional momentum for improving care for patients at risk for suicide will come from the new global action plan for mental health which was adopted by the World Health Assembly in May 2013. This includes several specific actions and indicators related to self-harm/suicide. 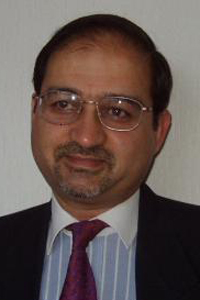 Shekar Saxena MD is Director of Department of Mental Health and Substance Abuse in Geneva. Dr Saxena is a psychiatrist by training, working at World Health Organization since 1998. He is responsible for implementation of WHO's activities in the area of mental, neurological and substance use disorders. He is also supervising the ongoing revision of ICD-10 mental as well as neurological disorders chapters. His responsibilities include providing advice and technical assistance to ministries of health on mental, developmental, neurological and substance use disorders issues and establishing partnerships with academic centres and civil society organizations. Dr Saxena will lead WHO's work to implement the Comprehensive Mental Health Action Plan adopted by the World Health Assembly in May 2013, which incorporates actions related to prevention of suicides and self-harm. "Optimizing Suicide Prevention Programmes and their Implementation in Europe (OSPI-Europe): Outcome of a Multilevel Suicide Prevention Programme"
A variety of factors such as access to lethal means, media coverage of suicidal acts, alcohol consumption and undertreatment of psychiatric disorders (mainly depressive disorders, alcohol and drug addiction, schizophrenia, personality disorders) contribute to the high numbers and rates of completed and attempted suicides in Europe. The 4-level-intervention concept developed within the model project "Nuremberg Alliance against Depression" provided evidence for the efficiency of an intervention approach targeting simultaneously several of the above mentioned factors. Up to now, similar 4-level interventions have been implemented in more than 100 regions in Europe (Hegerl et al 2013; Neurosci Biobehav Rev; doi:pii: S0149-7634(13)00045-6). Within the EU-funded suicide prevention project OSPI-Europe (www.OSPI-europe.com),( 7th Framework Programme), the 4-level-approach was optimized and then implemented in 4 intervention regions in 4 different European regions. Primary outcome are suicidal acts (completed + attempted suicides) after 18 months of intervention in comparison to baseline and control regions. Furthermore, intermediate outcomes (changes in attitude or knowledge of the general population, GPs, and community facilitators, the media coverage of suicidality) were analysed and a process evaluation as well as health economic evaluation are performed. First data from OSPI-Europe will be presented. A manual for the implementation of regional alliances as well as a catalogue with many intervention materials in several European languages are available and will facilitate the dissemination of alliances against depression to other regions and countries in- and outside of Europe. "Clustering and Contagion of Suicide and Self Harm: Early Identification and Intervention"
The lecture will provide an overview of risk factors associated with clustering and contagion of suicidal behaviour, examples of systems that enhance early identification of suicide clustering and contagion, and present evidence-based and best practice guidelines to respond to emerging suicide clusters and contagion. Internationally, there is growing public and professional interest in clustering and contagion in suicidal behaviour (fatal and non-fatal). There are indications of increasing clustering and contagion effects in suicidal behaviour associated with the rise of modern communication systems. Yet, the research in this area and information on effective response procedures and prevention strategies is limited. The methodological approaches in assessing clustering and contagion of suicidal behaviour are wide ranging and internationally, there is lack of consistency regarding the definition of clustering and contagion and regarding the statistical techniques assessing spatio-temporal aspects. Outcomes will be presented of comparative research of suicide clusters with a specific focus on individual level and contextual risk factors. Various systems have been developed to facilitate early identification of emerging suicide and self-harm clusters (e.g. Ireland and Scotland), such as the Suicide Support and Information System (SSIS) which has been successfully piloted in Ireland. Strengths and weaknesses of the various systems will be addressed. In recent years, a growing number of countries (e.g. Australia, Ireland, New Zealand) have produced guidelines or implemented national programmes for responding to suicide clusters. An overview will be presented of common elements and outcomes of available evaluations. Dr Ella Arensman is Director of Research with the National Suicide Research Foundation and Honorary Senior Lecturer at the Department of Epidemiology and Public Health, University College Cork, Ireland. 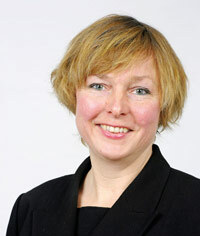 She has been involved in research into suicide and self harm over the last 25 years, with a particular interest in risk and protective factors associated with suicide and deliberate self harm, clustering and contagion of suicidal behaviour, and efficacy of intervention and prevention programmes addressing self harm and suicide. Dr Arensman has been involved in numerous international research consortia including the WHO/Euro Multicentre study on Suicidal Behaviour, Child and Adolescent Self Harm (CASE), Network for International Collaboration on Evidence (NICE-SP), the European Alliance Against Depression (EAAD), Optimised Suicide Prevention programmes and their Implementation in Europe (OSPI-Europe), Preventing Depression and Increasing Awareness through Networking in the EU (PREDI-NU). She has published extensively in scientific peer reviewed journals and contributed to international textbooks on suicidal behaviour. She was a member of the writing group that prepared the National Strategy for Action on Suicide Prevention, Reach Out (2005-2014) in Ireland. 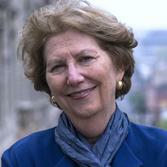 She serves on a wide range of national and international advisory boards. She is Vice-President of the International Association for Suicide Prevention and the European Alliance Against Depression. "Preventing Suicide in the Elderly � What are the Challenges and How Can They Be Met?" High rates of suicide are observed in older people in most countries worldwide. Older persons who attempt suicide are at particularly high risk for future suicide. Given these facts, it is surprising that the literature on the prevention of suicidal behavior in later life is so limited. One reason for this might be an attitude on the part of society that it is "normal" to feel suicidal in old age. Yet individual accounts of older persons who survive suicide attempts describe experiences of deep despair, feeling invisible or disconnected from others, and of the struggle to maintain control over life itself. This plenary lecture will give an overview of the literature on prevention research that focuses on older persons. Screening programs to detect depression and interventions that reduce social isolation are two of the more common approaches. To date, programs seem to have been more efficient for women than for men, and the need for interventions that target older males will be stressed. Margda Waern is Professor of Psychiatry at the University of Gothenburg, and Senior Consultant in Psychiatry at Sahlgrenska University Hospital. Her teaching encompasses general psychiatry, psychiatric epidemiology and suicidology in various university programs including medicine, public health, global health, psychiatric nursing and physical and occupational therapy, as well as post-graduate teaching in psychiatric epidemiology. Waern's main research focus is suicidal behaviour in older persons, an interest that was spawned during the 90's leading to a PhD dissertation "Suicide in late life" in the year 2000. This was the first late-life psychological autopsy study to involve a general population comparison group. Current research involves both clinical and epidemiological studies with a focus on suicidal behaviour in late life, as well geriatric depression, anxiety and alcohol-related problems. Other ongoing projects include the study of acute suicidal episodes in patients of mixed ages, using both quantitative and qualitative methods, as well as the development of person-centered care within hospital psychiatry. "Can Neuroimaging Inform Treatment and Prevention of Suicidal Behaviour and Measure Effectiveness of Interventions?" Neuroimaging studies of suicidal behavior have their origins in postmortem studies of suicides that mapped neuroreceptor systems and first showed that the serotonin system associated with suicide as a cause of death were confined to brainstem serotonin nuclei and their projections to ventral prefrontal cortex and anterior cingulate cortex. These areas are involved in willed action and decision-making and as such seemed highly relevant for the diathesis for suicidal behavior. This presentation will focus on what we have learned from in vivo imaging studies of suicide attempters and aspects of the diathesis for suicidal behavior that include decision-making, impulsive-aggressive traits and cognitive regulation of mood. Some of the studies employ functional MRI or structural DTI to map circuits and connectivity, other studies are neurotransmitter-specific and employ PET and SPECT. A brain circuit coupling dorsal lateral prefrontal cortex, amygdala, anterior cingulate and ventral prefrontal cortex has been identified. Suicide prevention approaches such as cognitive therapy and medications appear to target this circuitry and may modify it as part of a process that reduces the predisposition to suicidal behavior. The initial findings raise the possibility of finding a biomarker that can measure the impact of an intervention for the purpose of suicide prevention. This presentation will describe where we have reached in this process and how it may one day become part of clinical practice. Name: J. John Mann, M.D. Affiliation: Columbia University/ New York State Psychiatric Institute Dr. J. John Mann is trained in Psychiatry and Internal Medicine and has a doctorate in Neurochemistry. He was born in Australia where he completed his training in medicine and psychiatry before coming to the United States. He is the Director of the Molecular Imaging & Neuropathology Division and is The Paul Janssen Professor of Translational Neuroscience, Department of Psychiatry at Columbia University. His research employs functional brain imaging, neurochemistry and molecular genetics to probe the causes of depression and suicide. He has published 556 papers and edited 10 books on the subjects of the biology and treatment of mood disorders, suicidal behavior and other psychiatric disorders. He has been a pioneer in the study of the brain abnormalities that predispose patients to suicide and the brain abnormalities associated with recurrent major depression and bipolar disorder. He has worked on methods for predicting who will respond to antidepressant medications and their safety in suicidal patients. He has been a past president of the Society of Biological Psychiatry, the International Academy of Suicide Research and the American Foundation for Suicide Prevention. He has received many prestigious awards for his research. His private practice specializes in the psychopharmacological treatment of mood disorders. "Dialectical Behaviour Therapy for Suicidal and Self Harming Adolescents"
Non-lethal self-destructive behaviours such as repetitive self-harm and suicide attempts are important public health problems throughout age segments of adolescents. Community surveys have, however, shown that only about 10-20% of adolescents who have engaged in self-harm report to have subsequently received any kind of treatment; an even smaller proportion report to have received treatment in child- and adolescent psychiatric services. Among those who actually have been referred to such specialized care many will not comply with treatment and/or drop out prematurely due to treatment interfering factors associated with characteristics of the adolescents themselves, their families or the clinical services. Unfortunately, few controlled intervention trials have so far addressed self-harm in adolescents, and these studies have with very few exceptions been unsuccessful in demonstrating effectiveness of the trial interventions. Repetitive self-harming behavior is very often linked to personality disorders, in particular to Borderline Personality Disorder (BPD). Dialectical Behavior Therapy (DBT) was developed by Linehan for outpatient treatment of women with BPD and chronic suicidality, but has since become an effective treatment for people with self-harming behaviour, personality disorders and complex comorbidity. The adult version of DBT now has a great deal of empirical support lending incentive to the development and testing of a considerably shortened and adapted version of DBT for adolescents. To date, no RCTs testing the efficacy of the adolescent DBT version have been published. This lecture will provide a brief overview of key elements of DBT and how it has been tailored to self-harming adolescents' needs. Furthermore, results from the first randomized controlled study of the efficacy of 16 weeks of DBT-A to reduce self-harming behaviours, suicidal ideation and depressive symptoms in adolescents with emotion dysregulation and recent and repeated suicidal and/or self-harming behaviours will be presented. Finally, implications for further treatment development will be discussed. 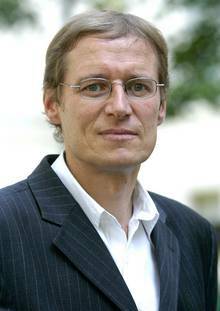 Lars Mehlum MD PhD is Professor of psychiatry and suicidology and the founding director of the National Centre for Suicide Research and Prevention at the Institute of Clinical Medicine, University of Oslo, Norway. He has been a coordinator of the Norwegian national Strategy for suicide prevention, and has established several training programmes in suicidology, such as the master's degree in suicide prevention at the University of Oslo. 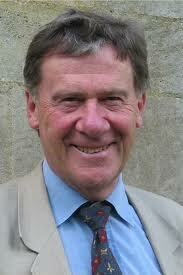 A past president of IASP, he is also member of the International Academy of Suicide Research, the AAS and AFSP. The founding editor of the journal 'Suicidologi' published since 1996 he is also a member of the editorial board of the three leading international suicidological journals. With his research group he focuses on the clinical course of suicidal behaviour with respect to etiological and prognostic factors such as stressors and negative life events, major psychiatric illness and the effectiveness of interventions, among them Dialectical Behaviour Therapy. He has published widely on these subjects and received several national and international awards. "Acceptability and Effectiveness of Web-Based Self-Management Interventions for Depression and Self Harm"
The Internet offers several new ways of developing, implementing and disseminating evidence-based interventions for depression and self-harm. In the past decade a consderable number of treatments have been developed and several dozens of randomized controlled trials have been conducted, showing that these interventions are effective. Most research has been done in the treatment of depression and anxiety disorders, but much work has to be done in the fields of suicide prevention and self-harm. In this presentation an overview will be given of the research in these fields, and the different settings in which the aquired scientific knowledge about effectiveness and efficacy can be applied. Furthermore, a view on the future will be given, and the new generation of innovative technologies, such as mobile applications, serious gaming, and avatars. Pim Cuijpers is Professor of Clinical Psychology at the VU University Amsterdam (The Netherlands), and Head of the Department of Clinical Psychology. Since 2009. Pim Cuijpers has published more than 475 papers, chapters, reports and professional publications, including almost 300 papers in peer-reviewed international scientific journals. According to Microsoft Academic Search, he is currently number 6 on the list of most influential researchers of the past five years in the field of psychiatry and psychology. Pim Cuijpers is specialised in conducting randomised controlled trials and meta-analyses on prevention and psychological treatments of common mental disorders. Furthermore, he has published about drug prevention, psychoeducational treatment of depression, bibliotherapy and internet interventions for depression. "Innovations in Suicide Risk Assessment and Crisis Intervention"
Throughout the world the field of clinical suicidology is experiencing an explosion of innovations in suicide risk assessment; there are a number of new approaches to suicide crisis intervention as well. There is the natural evolution of traditional approaches to assessing risk (e.g., clinical interviews) as well as continued work in the development of suicide-specific assessment tools. Beyond traditional approaches there are also "occult" assessment approaches where suicide risk is not obviously being evaluated. Innovations in technology are also providing new assessment avenues. Research in suicidal typologies (using both quantitative and qualitative methods) can provide valuable information for prospective suicidal risk with implications for using different treatments for various suicidal states. In relation to crisis intervention, there is increased interest in brief interventions and the use of non-demand follow-up contacts. At the policy level in the United States there is an increasing focus on stratifying suicidal risk and matching patients to appropriate levels of intervention and intensity. David Jobes, Ph.D., ABPP, is a Professor of psychology and Associate Director of Clinical Training at The Catholic University of America. Dr. Jobes is a past President of the American Association of Suicidology (AAS) and is the recipient of that organization's 1995 "Edwin Shneidman Award" in recognition of early career contribution and the 2012 AAS "Dublin Award" in recognition of career contribution. Dr. Jobes is Fellow of the American Psychological Association and is board certified in clinical psychology (American Board of Professional Psychology). He maintains a private clinical and forensic practice at the Washington Psychological Center. "Interventions to Prevent Suicidal Behaviour in Individuals with Psychotic Disorder"
Introduction: Suicide rates among people with psychotic disorders are 20 fold higher than among people in the general population. Methods and results: Meta analyses of suicide risk in schizophrenia are mentioned and risk factors for suicide in schizophrenia are reviewed. Danish population registers were used to determine a long term cumulated risk of suicide of four percent for women and six percent for men. Two high risk periods for suicide were identified: shortly after admission and shortly after discharge. Suicide risk in schizophrenia decreased with the same speed as the decrease in the general population, and in Denmark the suicide risk in schizophrenia decreased each year since 1981. Suicide risk among inpatients and outpatients has decreased during last decade. Risk factors for suicide in schizophrenia were previous depressive disorders, previous suicide attempts, drug misuse, agitation or motor restlessness, fear of mental disintegration, poor adherence to treatment, and recent loss. Conclusion: Suicide among people with psychotic disorders is an important clinical and public health problem. Risk of suicide is highest shortly after admission and shortly after discharge. Increased attention should be paid to assessing suicide risk in these two high risk periods and to measures that hopefully can influence the high risk. Assessment of suicide risk and outpatient treatment immediately after discharge is of particular importance. "Lessons Learned in Suicide Intervention Research: Intersecting Clinical, Ethical and Methodological Concerns"
Conducting intervention research with suicidal individuals is fraught with ethical and clinical management issues. This presentation will address lessons learned from conducting intervention research with suicidal individuals and how these lessons learned can inform management and treatment of suicidal individuals in clinical practice. Some of these issues include: what are the appropriate procedures for monitoring suicidal individuals; is there an ethical imperative to include suicidal individuals in trials; are there special problems with the competency of suicidal individuals to consent to research and treatment; what are the appropriate comparison conditions in trials and what are the pros and cons of the choices? The underlying ethical principles used to understand these issues will be identified and possible resolutions to ethical issues will be described as well as how these ethical issues relate to methodological concerns and clinical management. The resolution of these issues has implications for routine clinical practice and helps to inform how to best manage suicidal individuals. Barbara Stanley, PhD, is Professor of Clinical Psychology in the Department of Psychiatry at Columbia University College of Physicians & Surgeons and a Research Scientist at the New York State Psychiatric Institute. Dr. Stanley is the principal investigator on several NIMH, DoD and foundation grants investigating clinical and neurobiological factors and intervention strategies related to suicidal behavior, self injury and borderline personality disorder. She is also conducting a project in the VA to develop and evaluate an intervention for treating and following suicidal Veterans in Emergency Departments and urgent care settings and post-discharge. She is the author of more than 150 publications and serves as editor-in-chief of the Archives of Suicide Research, serves on the editorial board for several journals and is a standing member of the Adult Psychopathology and Disorders of Aging NIH CSR study section. With her colleague, Dr. Gregory Brown, she developed the Safety Planning Intervention that is used throughout the VA and on crisis hotlines across the United States. She serves on the board of directors for PRIM&R, a national research ethics organization, she is a fellow of Division 12, Society of Clinical Psychology, of the American Psychological Association, a fellow of the International Academy of Suicide Research, is the current chair of the American Psychological Association's Committee on Human Research and on the Scientific Advisory Board of the American Foundation for Suicide Prevention. She has received numerous awards including the research award from the American Foundation for Suicide Prevention and the Suicide Prevention Council of New York. "Complicated Grief Treatment for Suicide Survivors"
Suicide is a serious mental health problem for suicide attempters and also for those left in the aftermath of a successful attempt. These affected survivors constitute a large mental health problem as their suffering can be intense and prolonged and their numbers are large. Especially troubling aspects of the circumstances or consequences of a suicide can plague survivors and complicate the healing process. About twice as many suicide- as other-bereaved people develop complicated grief, a chronic debilitating condition now included in ICD11 and DSM5. Complicated grief treatment is a 16-session targeted psychotherapeutic approach that utilizes strategies and techniques from CBT, Interpersonal Psychotherapy, and Motivational Interviewing to address grief complications and to facilitate the natural healing process. This presentation will provide an introduction to complicated grief and its treatment in suicide survivors. Preliminary data from our AFSP-funded project will be included. Katherine Shear graduated with Honors from the University of Chicago, completed medical school at Tufts University and is Board Certified in both internal medicine and psychiatry and neurology and author of more than 250 peer-reviewed papers. She served as an advisor to DSM5 and participated on the Mood and Anxiety Disorders workgroup for ICD11. She previously served on the faculty of the Department of Psychiatry at Cornell University and the University of Pittsburgh. She has received 3 grants from the National Institute of Mental Health and one from the American Foundation for Suicide Prevention to study complicated grief treatment, a targeted psychotherapy. Two of these are now complete and the other two are well underway. The treatment is based on a novel, empirically based model of bereavement, grief and mourning. Complicated grief treatment has been disseminated worldwide and she regularly gives talks and workshops about this topic. "After Suicide: Suicide Bereavement and Postvention, New Directions and Developments "
Suicide is now recognised as a personal issue and a public health issue. The magnitude of the problem includes the survivors, i.e. the people who have lost a significant other by suicide. Indeed, suicide is not only an endpoint, for the survivors it can be the beginning of a life after suicide (Shneidman, 1973). Postvention, i.e. the support and other activities for families and communities after a suicide, is a relatively young field in suicidology, however public and research interest in this field has increased during the past decades. This presentation will provide a selective overview of the past forty years of postvention research in order to highlight achievements as well as important challenges and questions for future developments. Alike suicide prevention, suicide postvention can be developed from a clinical perspective and from a public health perspective. Whereas the former includes support groups, psychotherapy, and online support; the latter includes the development and evaluation of regional and national postvention programs. These programs can be related to the provision of support, awareness raising and/or tackling stigma. A major challenge for the future would be the integration of bottom-up activities developed by survivors and their social networks and top-down activities including evaluation and research, in order to better understand the nature of suicide bereavement and to develop effective postvention programs. Reference: Shneidman, E. (1973). Deaths of Man. New York: Quadrangle. Karl Andriessen, MSuicidology (Griffith University, Brisbane, Australia), is Suicide Prevention Staff Member at the Federation of Tele-Help Services (Tele-Onthaal) in Ghent, Belgium, and a Researcher at the Faculty of Psychology and Educational Sciences, University of Leuven, Belgium. Previously, Karl Andriessen was the Coordinator of the Suicide Prevention Program of the Community Mental Health Centres in Flanders-Belgium and the Director of the Flemish Suicide Prevention Centre. Karl Andriessen has been working in suicide prevention and postvention nationally and internationally for 25 years. In 2000 he was a co-founder of the Flemish working group on suicide survivors, he worked on scientific projects with Mental Health Europe and the Flemish Institute for Heath Promotion and Disease Prevention. He was a member of the Flemish Ministerial Working Group of the Suicide Prevention Action Plan, and he (co-) organized several national and international conferences. He has a profound interest in suicide bereavement and postvention, suicide prevention program/policy development and implementation, community action and volunteer involvement. He has published many peer-reviewed articles and book chapters in English, Flemish/Dutch and French, and he is a co-author/editor of three books. In 2003 he became Chair of the IASP Taskforce on Postvention, and since 2009 a Co-Chair of the Special Interest Group on Suicide Bereavement and Postvention. In 2005 he received the IASP Norman Farberow Award for outstanding contributions in the field of bereavement and survivors after suicide. "Systematic Antibullying Work in School and Prevention of Suicidal Behaviors"
A number of studies have clearly documented that children and youth who are regularly exposed to bullying by peers in school are concurrently characterized by increased levels of internalizing problems such as depression/depressive states, anxiety, suicidal ideation, and self-harm behaviors. A number of prospective studies have also shown that the odds of having depressive symptoms/states several years after the bullying in school ended are much increased, even when a number of possible confounders are controlled. The overall results from this research strongly suggest that the elevated levels of depression and similar characteristics are a consequence, and not just a correlate, of bullying. Since it is also well documented that depression is a major risk factor of suicidal ideation, self-harm, suicide attempts, and completed suicide, it is very reasonable to assume that effective prevention of bullying in school will have a preventive effect on the development of depression in some proportion of students and thereby also reduce suicidal behaviors in a school population. This is the general background of our assumption that systematic, research-based anti-bullying work with documented effects will have a beneficial effect on suicide-related behaviors, in addition to a number of other positive effects. The Olweus Bullying Prevention Program (OBPP) is a research-based, multilevel, multi-component program designed to reduce and prevent bully/victim problems in schools. Very positive effects of the program have been documented in six large-scale evaluation studies involving more than 40 000 students and covering a time span of 30 years. Average reductions in bully/victim problems have typically been in the 30-50 percent range after one or two years of work with the program. In a couple of longitudinal studies, long-term effects over more than 5 years have been documented. The OBPP works at the school, classroom, and individual levels and is both preventive and acutely problem reducing. It has been evaluated as the most effective anti-bullying program in a recent meta-analysis of all anti-bullying-programs in the world. Although work with the OBPP will very likely have positive preventive effects, it should be emphasized that the program is not primarily designed for such purposes and should not be perceived as a complete suicide prevention program. Dan Olweus received his Ph.D. at the University of Ume�, Sweden, in 1969. 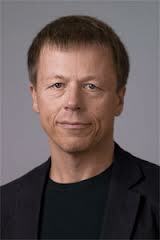 From 1970 to 1995 he was professor of psychology at the University of Bergen, Norway. Since 1996 he has been research professor at the same university and he is now also affiliated with the Center for Child and Adolescent Mental Health in Bergen,Uni Research. For more than 40 years, Dan Olweus has been involved in research and intervention work in the area of bullying in school. In 1970, he started a large-scale project that is generally regarded as the first scientific study of bullying problems in the world. In the 1980's, he conducted the first systematic intervention study against bullying. His antibullying program, the Olweus Bullying Prevention Program (OBPP), has been introduced in a number of countries including the USA where more than 8000 schools have implemented it. Dan Olweus has received many awards for his research and intervention work including the Society for research in Child Development (SRCD) "Distinguished Contributions to Public Policy for Children" award and the 2012 American Psychological Associations (APA) Award for "Distinguished Contributions to Research in Public Policy". He was a Fellow at the Center for Advanced Study in the Behavioral Sciences in 1986/87. "The Relative Roles of Mental Illness and Pesticides in Suicide in Asia: Evidence for the Need of a Paradigm Shift in Suicide Prevention?" Emerging evidence from low- and middle-income countries (LAMIC), where 84% of global suicides occur, is challenging conventional wisdom about suicide, most of which is based on research conducted on the 16% of global suicides that occur in high-income countries. One of the most dramatic findings from LAMIC is that access to agricultural pesticides -- the most common method of suicide globally -- may be a more important determinant of suicide rates than the prevalence and treatment rates for mental disorders. There is, moreover, growing evidence that different methods of restricting access to pesticides can effectively reduce suicide rates, perhaps more effectively than conventional mental health interventions. In support of this contention, this lecture will present the three-year follow-up results of a project in northern China that installed 10,000 pesticide lockboxes in households of two rural townships in Shaanxi Province, assessed the utilization of the lockboxes over time, and compared changes in rates of fatal and non-fatal suicidal behavior in the two intervention townships compared to eight control townships. These findings raise a fundamental dilemma for policy makers in LAMIC: given the very limited resources available for addressing the problem of suicide, how should they decide on their priorities for suicide prevention? If you can't do both, is it better to establish suicide screening programs and strengthen mental health services or to take steps to decrease access to pesticides? Dr. Phillips is a Canadian citizen who has been a permanent resident of China for 30 years. He received a BSc (psychology) from McGill University, an MD from McMaster University and an MA (anthropology) and MPH (epidemiology) from the University of Washington. He completed his psychiatry residency training at the University of Washington followed by a two-year Robert Wood Johnson Research Training Fellowship. He is currently Director of the Shanghai Mental Health Center - Emory University Collaborative Center for Global Mental Health, Executive Director of the WHO Collaborating Center for Research and Training in Suicide Prevention at Beijing Hui Long Guan Hospital, and Professor of Psychiatry and Global Health at Emory University. Dr. Phillips runs a number of research training courses each year, supervises Chinese and foreign graduate students, helps coordinate WHO mental health activities in China, promotes increased awareness of the importance of addressing China's huge suicide problem and advocates improving the quality, comprehensiveness and access to mental health services around the country. He received the 2012 International Scientific and Technological Award of the People's Republic of China, the highest honor for scientific achievement awarded to foreign nationals by the Chinese government. "Alcohol Prevention Strategies: Their Effectiveness On Drinking Problems In General And On Suicidal Behavior In Particular"
It is well established that heavy drinking and alcohol misuse elevate the risk of non-fatal self-harm and of completed suicide. Studies further suggest that a significant proportion of self-harm episodes and suicides can be attributed to alcohol consumption. Consequently, strategies that are effective in curbing heavy drinking and alcohol misuse in general may well be effective in preventing non-fatal and fatal self-harm. This presentation gives a brief literature review of the evidence of effectiveness of various alcohol prevention strategies to curb alcohol consumption and related problems in general and then addresses the evidence of effectiveness of these strategies to prevent self-harm and suicides in particular. The strategies reviewed are mostly universal, population targeted and include alcohol control policies - as regulation of price and physical availability -, and educational strategies - as school programs, media campaigns and warning labels. In addition, selective and indicative strategies are reviewed and these include screening and brief intervention in primary health care and alcohol misuse treatment. Alcohol control policies are those strategies that stand out as having good evidence of significant effectiveness in preventing heavy drinking and alcohol related problems in general. There is also good evidence of effectiveness of selective and indicative strategies. The literature regarding effectiveness with respect to self-harm and suicide specifically is, obviously, much smaller. Yet, there is also evidence, mainly from natural experiments, suggesting that alcohol control policies may have a significant impact on suicide rates. So far, little is known about possible effects of early intervention and treatment of heavy drinkers on their risk of self-harm and suicide. Ingeborg Rossow, DDS, PhD, is Professor of Suicidology at the University of Oslo, and Senior Researcher at the Norwegian Institute for Alcohol and Drug Research. 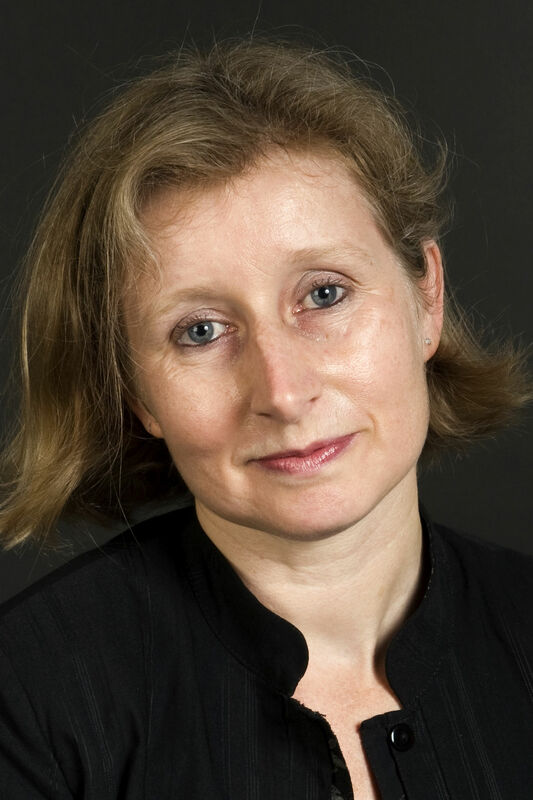 Rossow has served as president of Kettil Bruun Society for Social and Epidemiological Research on Alcohol and she is member of WHO's expert advisory panel on Drug Dependence and Alcohol Problems. Her PhD is in epidemiology and she has been involved in social and epidemiological alcohol and drug research for more than 20 years. Rossow's main research focus within suicidology is on epidemiological studies of suicidal behaviour, and on associations between alcohol and other drug use and suicidal behaviour. Current research involves both empirical studies in clinical and general population samples and literature reviews. "How Life Events Get "Under the Skin": Implications for Suicide Research"
The environment in which we live, and especially the early life environment, shapes our behavior. Adversity during early life is strongly associated with problems in behavioral regulation and psychopathology in adulthood. Until recently, the mechanisms responsible for behavioral changes induced by early life adversity were not clear. However, recent evidence suggests that early-life environment induces behavioral changes through epigenetic mechanisms controlling the expression of genes involved in the regulation of behavior. As such, the epigenome mediates the effects of environmental variability on behavioral, physiological and pathological responses. In this talk, I will discuss key concepts of how traumatic events occurring early in life may increase risk for suicide. I will present data from methylation studies in humans as a function of history of environmental adversity and discuss implications for behavioral development and risk of suicide. Gustavo Turecki MD PhD is Professor of Psychiatry and Human Genetics at McGill University, Montreal, Canada, where he leads a research and clinical career focusing on depression and suicide. Dr. Turecki obtained his medical degree (1989) and specialty in psychiatry (1994) from UNIFESP, Sao Paulo, Brazil, and a PhD in neurosciences with concentration in genetics from McGill University, Canada (1999). He currently holds a William Dawson Chair, and is the director of the McGill Group for Suicide Studies and the Quebec Suicide Brain Bank. In addition, he is the Vice-Chair of Research and Academic Affairs of the Department of Psychiatry at McGill University. Dr. Turecki's research has focused on the study of biomedical risk factors for suicide and depression. He has made important contributions to our understanding of the suicide phenotype, conducting multidisciplinary studies on suicide completers, as well as molecular studies aiming to understand the suicide brain. More recently, his work has focused on epigenetic mechanisms, and has conducted pioneering research leading to our understanding of how early-life adversity stably impacts the genome and increases long-term risk for suicide. Dr. Turecki has authored over 250 publications, including book chapters and research articles in peer reviewed journals such as Nature Neuroscience, Molecular Psychiatry, Archives of General Psychiatry, among others, and is the recipient of several scientific awards, including the NARSAD Michael Kaplan Investigator Award, the American Foundation for Suicide Prevention Distinguished Investigator Award and the Radio-Canada Researcher of the Year 2009. He also serves, or has served, in the advisory boards of several scientific journals. In addition to a busy scientific career, Dr. Turecki is an engaged clinician. He heads the Depressive Disorders Program at the Douglas Mental Health University Institute, where he treats patients with refractory major depressive disorder. Gustavo is married and has 3 teenage sons. When he is not working, he can be found driving his sons to hockey practice and games, and whenever he has a bit of time for himself - not that often, though - he can be found in the woods feeding his second passion: mycology. 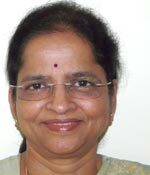 "Reducing Global Suicides - Innovations and Interventions"
Dr. Lakshmi Vijayakumar is founder of Sneha, suicide prevention centre in India and Head, Department of Psychiatry, Voluntary Heath Services, Chennai. She is a member of the W.H.O. 's Network on suicide research and prevention. She has been conferred "Honorary Fellow of the Royal College of Psychiatrists (FRCPsych) the highest award given by the college for her work in suicide prevention locally, nationally and internationally. She is the second Indian psychiatrist and the only woman psychiatrist in India to receive this award. She has also been conferred with "Bharathi", :Gnanananda", "Woman of the year", "Woman Achiever Award" and "For the sake honour" awards in India. She has been appointed as Associate Professor by the University of Melbourne, Australia and Adjunct Professor, Griffith University, Brisbane, Australia. She has edited two books, authored many book chapters and published numerous papers in peer reviewed journals. "Assessing and Formulating Risk for Death by Suicide: Challenging Clinical Assumptions"
Approximately one in three to one in four of those who die by suicide contact a clinical care provider in the year prior to their death and an estimated 31% are in treatment at the time of death. Hence, mental health clinicians have significant opportunity to identify and engage patients with potential risk for suicide, yet many lack the essential training and skills to, thereby, effectively act to reduce that risk. In clinical suicidology, the focus of training is on risk assessment of the potentially at-risk patient, treatment planning, and interventions designed to reduce the level of assessed risk. Risk assessment is actually a two-step process involving the gathering of data associated with suicide risk (suicide risk assessment) and the formulation of a level of risk (suicide risk formulation), the latter process requiring a clinical judgment and scaling (e.g., none-low-moderate-high-imminent) of the patient's risk to act in a life-endangering way. The dominant mode of teaching to these tasks, world-wide, has been via received clinical wisdom primarily delivered through case supervision from senior clinicians relative to the trainee's assessment and treatment of patients seen during training. This presentation challenges the modal received wisdom that historically -- and to this day -- has guided what has been taught to, what has been learned by, hence what is done by mental health professionals in accomplishing the risk assessment and risk formulation phases of work with at-risk patients. The result of this less than adequate process is that significant opportunities to save lives are missed. 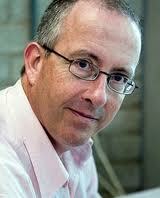 Dr. Berman is President (2009-2013) of the International Association of Suicide Prevention (IASP). 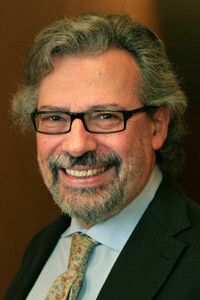 Since 1995, Dr. Berman has been Executive Director of the American Association of Suicidology (AAS). 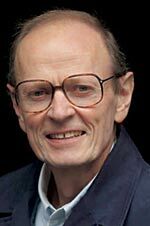 He is a Past-President of the AAS (1984-1985), their 1982 Shneidman Award recipient (for Outstanding Contributions in Research in Suicidology), and their 2006 Louis I. Dublin Award winner (for outstanding service and contributions to the field of suicide prevention). Dr. Berman holds a B.A. degree from the Johns Hopkins University and a Ph.D. from the Catholic University of America. A Diplomate in Clinical Psychology (American Board of Professional Psychology) and a Fellow of the American Psychological Association and the International Academy of Suicide Research, Dr. Berman maintains a part-time private practice of psychological and forensic consultation in Washington, D.C. He has published over 100 professional articles and book chapters and authored/edited seven (8) books in Suicidology. He serves as consulting editor for three peer-reviewed journals: Suicide and Life Threatening Behavior, Crisis, and Archives of Suicide Research. "Innovative Suicide Prevention � Next Steps"
Professor De Leo's research expertise includes definitional issues in suicidology, culture and suicide, international trends and national suicide prevention programs. He has published extensively with over 700 publications, including 260 peer-reviewed articles, 150 book chapters and 35 volumes. He is Past President of the International Association for Suicide Prevention and the International Academy for Suicide Research. He currently serves as a board member of the Australian Suicide Prevention Advisory Council (ASPAC). Prof. De Leo has successfully managed a number of high-level international collaborations, including the WHO/EURO Multicentre Study on Suicidal behaviour, the WHO/SUPRE-MISS (SUicide PREvention: Multisite Intervention Study on Suicide) and the WHO/START Study Project (Suicide Trends in At-Risk Territories). He is founder/co-founder of the Italian Society for PsychoOncology, the Italian Association for Suicide Prevention and the International Academy for Suicide Research. He is the ideator and main promoter of organizing the World Day for Suicide Prevention, taking place every September 10th since its establishment in 2003. He is currently the Editor in Chief of Crisis: The Journal of Crisis Intervention and Suicide Prevention, Associate Editor of BMC Public Health, and Regional Editor of Behavioral Medicine, and member of the editorial boards of several other international journals. He is the winner of several national and international awards, including the IASP Stengel Award, the Life Research Award (Suicide Prevention - Commonwealth of Australia), and the AAS Dublin Award. "Clinical Management of Self-harm Patients: Current Evidence and Future Possibilities"
Clinical management of self-harm (intentional self-poisoning or self-injury) patients is receiving increasing attention. This is understandable given the large numbers of people who present to hospitals following self-harm, growing awareness of the problems they face in terms of both their life situations and the often negative attitudes of many hospital staff, the extent to which self-harm is repeated, and the high risk of future suicide and other fatal outcomes. Evidence to guide clinical practice is slowly but surely growing. A key first step in improving clinical management of self-harm in the general hospital is to try to improve the attitudes of medical and nursing staff towards patients, which is likely to come through training to increase their knowledge of the problems that these patients face and their potentially severe adverse outcomes. Preliminary evidence for effectiveness of such programmes exists. Official guidance such as that from the National Institute for Clinical Excellence (NICE) in England quite rightly recommends that all self-harm patients presenting to hospital should receive a psychosocial assessment. This may reduce risk of repetition of self-harm but this may depend on the socio-economic characteristics of patients. In terms of aftercare, brief psychological therapy may reduce repetition of self-harm and have more impact on depression, hopelessness and suicidal ideation than usual care. There is mixed evidence about the possible effectiveness of contact interventions such as letters and postcards, their value perhaps being greater where there other available services are lacking. Dialectical behaviour therapy may also reduce repetition of self-harm, but the cost of this approach as currently applied in adults is a major limitation. All self-harm services should have ready availability of staff with expertise in management of patients who are misusing alcohol. Future advances might include improved treatments for multiple repeaters of self-harm, evidence-based therapy programmes readily available through the internet, use of electronic feedback and interaction with therapists to help ensure availability of therapy, especially for individuals unable or unwilling to have face-to-face contact, and instant electronic feedback of psychological functioning, backed up by a rapid response service for individuals whose risk has increased or are otherwise getting into difficulties. Keith Hawton is Professor of Psychiatry and Director of the Centre for Suicide Research at Oxford University; Consultant Psychiatrist and Buckinghamshire Mental Health NHS Foundation Trust. For more than thirty years he and his research group have been conducting investigations concerning the causes, treatment, prevention and outcome of suicidal behaviour. He has published more than 400 papers and chapters and 15 books. Professor Hawton is co-editor of The International Handbook of Suicide and Attempted Suicide (2000, Wiley), editor of Prevention and Treatment of Suicidal Behaviour: From Science to Practice (2005, Oxford University Press), co-author of By Their Own Young Hand: Deliberate Self Harm and Suicidal Ideas in Adolescents (2006, Jessica Kingsley Publishers) and co-editor of Suicide (a four volume major themes series) (Routledge 2012). He has received the Stengel Research Award from the International Association for Suicide Prevention (1995), the Dublin Career Research Award from the American Association of Suicidology (2000), the Research Award of the American Foundation for Suicide Prevention (2002), the Lifetime Achievement Award from the European Symposium of Suicide and Suicidal Behaviour (2012), elected Fellow of the Academy of Medical Sciences (FMedSci) England, May 2013 and awarded the Morselli Medal by the International Association of Suicide Research, for outstanding and important lifetime contributions to the study of suicide, suicidal behaviors or suicide prevention June 2013. Brian Mishara is Professor of Psychology and Director of the Centre for Research and Intervention on Suicide and Euthanasia (CRISE) at the Universit� du Qu�bec � Montr�al. He is Vice-chairperson of the Trustees of Befrienders Worldwide, an organization of helplines and volunteer-based suicide prevention centres around the world. His publications, including six books in English and five in French in the areas of suicidology and gerontology, include research on the effectiveness of suicide prevention programmes, studies of how children develop an understanding of suicide, theories of the development of suicidality, ethical issues in research, euthanasia and assisted suicide, and evaluations of helpline effectiveness. Professor Mishara was a founder of Suicide Action Montreal, the Montreal regional suicide prevention centre and the Quebec Association of Suicidology. He is a past president of the International Association for Suicide Prevention and Canadian Association for Suicide Prevention. He also consults and conducts training for suicide prevention organizations internationally and is co-editor of the book Suicide Prevention and New Technologies: Evidence Based Practice. "Impact of the Economic Recession on Suicidal Behaviour"
Politicians have talked endlessly about the seismic economic and social impacts of the recent financial crisis, but many continue to ignore its disastrous effects on human health-and have even exacerbated them, by adopting harsh austerity measures and cutting key social programs at a time when constituents need them most. The result is that many countries have turned their recessions into veritable epidemics, ruining or extinguishing thousands of lives in a misguided attempt to balance budgets and shore up financial markets. Yet sound alternative policies could instead help improve economies and protect public health at the same time. In his lecture David Stuckler present data to show how government policy becomes a matter of life and death during financial crises. Yet people can and do stay healthy, and even get healthier, during downturns. During the Great Depression, U.S. deaths actually plummeted, and today Iceland, Norway, and Japan are happier and healthier than ever, proof that public wellbeing need not be sacrificed for fiscal health. 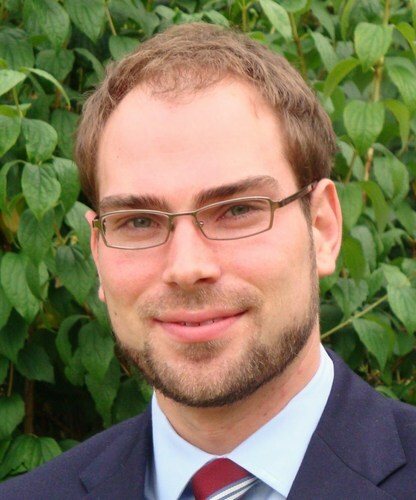 David Stuckler, MPH PhD Hon MFPH, is a Senior Research Leader in Sociology at Oxford University and a Honorary Research Fellow, London School of Hygiene & Tropical Medicine and Professor of psychology. Dr. Stuckler research integrates political economy and public health and focuses on three areas of population health and development: 1) Macro-social and -economic determinants of health, 2) Political economy of global health and development, and 3) Comparative social welfare. He has published widely on these issues including several monographies, most recently The Body Economic - Why austerity kills in 2013.